We build all types of walkways using stamped concrete, brick, concrete, and paverstones with quality craftsmanship for long-lasting results. 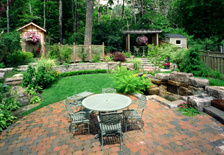 Provide a meandering path through a garden, a creative approach to the front door, and help direct foot traffic. 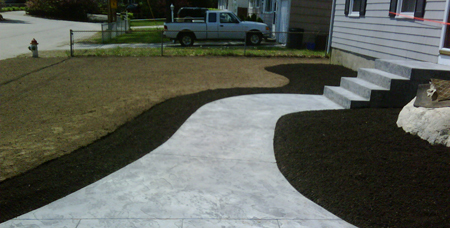 We build driveways and parking lots too, with the same attention to detail to ensure both eye appeal and functionality.